Living in the south now, I have come to love anything monogrammed. 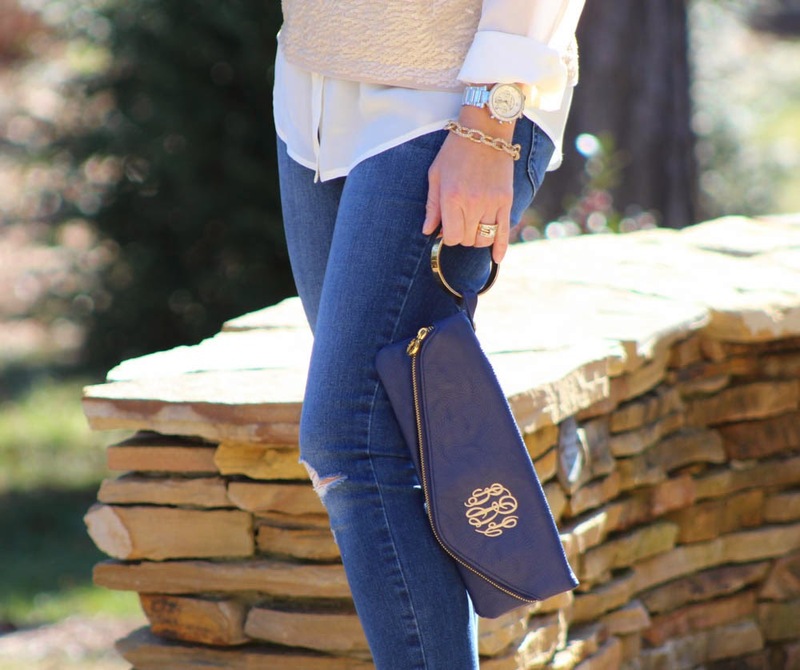 This clutch has a beautiful scripted monogram and a gold bracelet handle. It can go from day to night. I got it from a darling boutique in Cary, NC called The Pink Alli. Check it out if you live in the area! 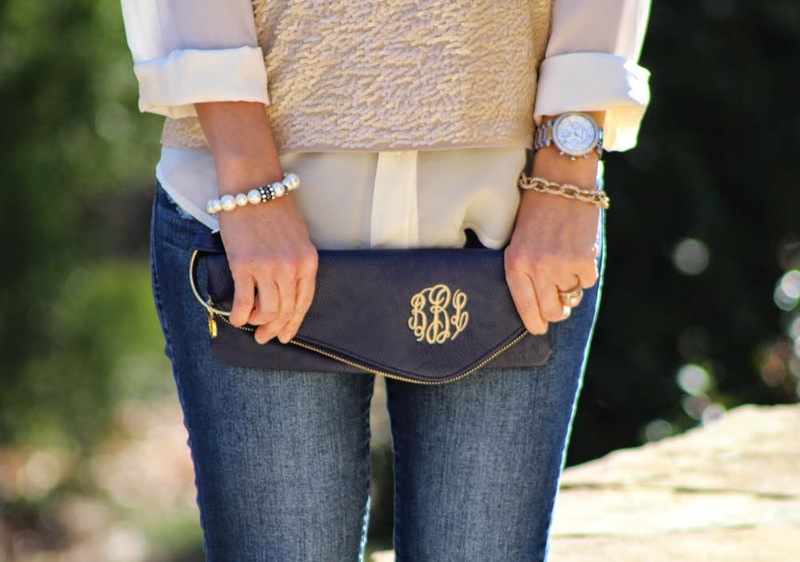 If not, luckily monogrammed clutches can easily be found. I have linked a couple other options below.